Tether (USDT) is also known as a stablecoin. The purpose of tether is to be pegged to the fiat value of the US dollar. It is commonly used by traders who want to store their cryptocurrency in something more stable. This often happens in the anticipation of a correction. One reason traders use tether, is so that they can profit from a correction. The market cap of Tether is directly proportional to the amount of Tether in existence. Purchase and Redemption of Tethers: The Site is an environment for the purchase and redemption of Tethers. 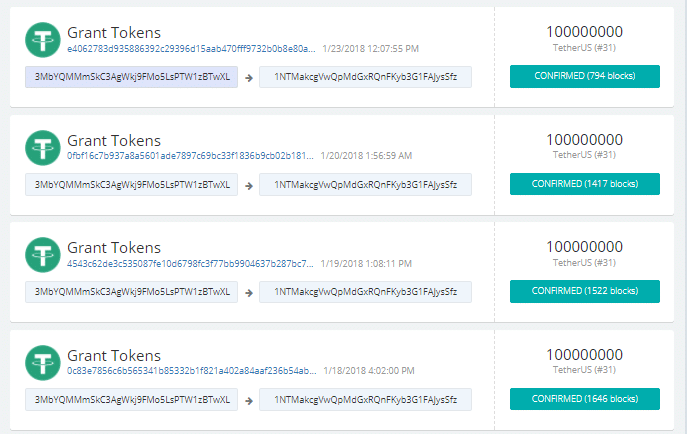 Once you have Tethers, you can trade them, keep them, or use them to pay persons that will accept your Tethers. However, Tethers are not money and are not monetary instruments. They are also not stored value or currency. There is no contractual right or other right or legal claim against us to redeem or exchange your Tethers for money. We do not guarantee any right of redemption or exchange of Tethers by us for money. There is no guarantee against losses when you buy, trade, sell, or redeem Tethers. 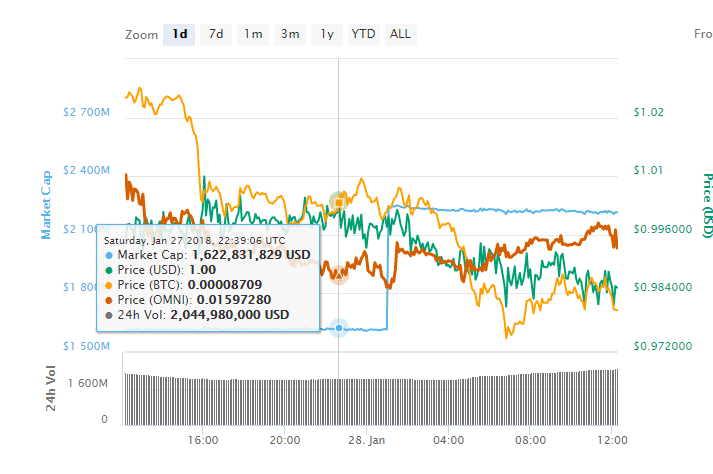 Even though it seems like the marketcap of Tether increased 600 million USD in one night, this is probably just the way that coinmarketcap updates the information available to us. 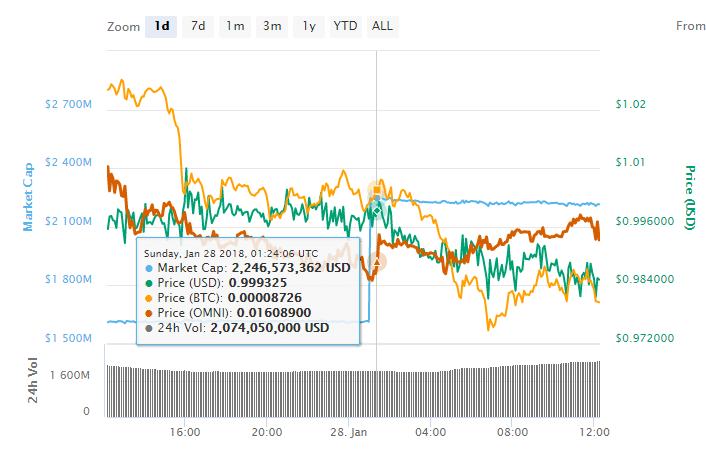 The additional Tether will probably be updated on coinmarketcap in the next few days. 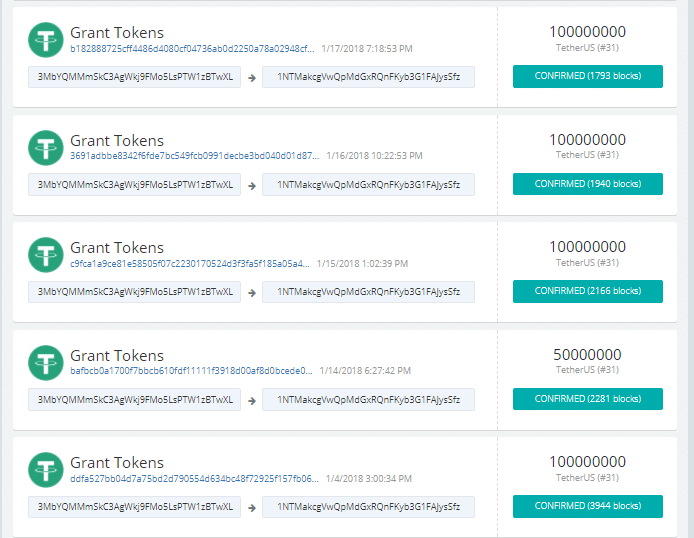 When you take a look at omnichest.info you can see that Tether has minted 850 million Tether Tokens since the beginning of the year. A logical guess it that companies like Binance, Bittrex, Bitfinex and Bittrex are requesting more Tethers for their operations and are sending bank wires to Tether incorporated. There is a possibility that Tether has a huge amount of that money in a bank. However, there is no transparency on this matter.